High-strung, temperamental race horses often have mascots, whose playful companionship provides a diversion from the serious business of winning; turf events. Witness, for example, the friendship of Ba-ranca, a thoroughbred, and Flash, a pure-white dog. In the circle at the right, the trained mascot offers the racer a juicy carrot, and at left, he holds the halter and leads Baranca out for a light workout, at their Inglewood, Calif., home. 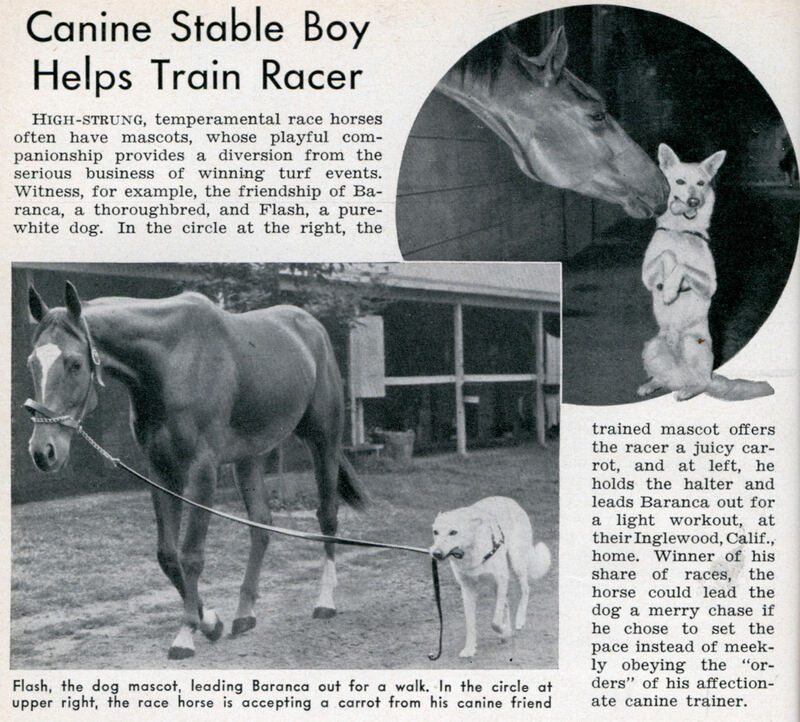 Winner of his share of races, the horse could lead the dog a merry chase if he chose to set the pace instead of meekly obeying the “orders” of his affectionate canine trainer.